After a glorious past and a fall into obscurity, cyclocross in Switzerland is rising from the ashes. A look at the EKZ CrossTour and the Swiss pros who are leading the charge. After nearly blinding myself for the last five years, watching crappy, spammy feeds from even poorer quality computers, I thought I’d nailed all there was to know about the international cyclocross scene. Happily gorging myself on the plump, smokey beast of what in my head had to be the heartland of cyclocross: Belgium, with its Sporza, Vier, Nys, Albert, Pauwels and Cant. The drunken Duvel crazyheads, the frites and fag smoke – truly I thought this was all there was to savour in cyclocross. It really took the smattering of Americans, like Jonathan Page and Jeremy Powers (a.k.a. JPow), creeping in and around the lower reaches of World Cup and Superprestige races to direct my interweb fetish a little further. And, for a while, the U.S. and its more NASCAR-esque loud and hollering scene caught my eye. JPow, Trebon, and Compton got me straight out of Belgium, and I even understood what the race-day mic jockeys were saying. I loved the razzmatazz of the States – it’s more professional and family-friendly viewing – they really know how to promote a cyclocross race and bring it to a wider audience. Hoogerheide in 2013 changed a few things for me. First up it snowed, secondly there was no sign of any Belgians on the podium for the first time in yonks, and it brought to my attention EKZ Swiss rider Simon Zahner, who came on strong and netted a podium. A subsequent interview followed, and from then on I’ve always looked out for him and his fellow countrymen like Julien Taramarcaz, hoping they will stick it to the Belgies and the Dutch and upset the race order. Zahner switched me on to the last embers of the Swiss scene, once the gargantuan mountain that any self-respecting international cyclocross rider had to drag his way up to reach in order to compete for whatever husks were left over. There you would find the names of Runkel, Frischknecht, and Wabel… men who were capable of grinding the Belgian flatlanders into the shlamm, drowning them in pockmarked Flanders fields, and ruling with firm reign over the Kingdom of Cyclocross. Dieter Runkel in the good ol’ days of Swiss cyclocross, back in the mid-’90s. Then something curious happened. Almost as soon as the Swiss looked like they were in an untouchable position, the wheels fell off the wagon – not just a mechanical failure, the whole scene started to haemorrhage. In order to get some answers I had to look to the man who is now dragging the Swiss cyclocross scene, not just nationally but internationally, back up and blinking into the Panavison sunrise of a new dawn. I hooked up with Christian Rocha, Director of the EKZ CrossTour, and also Simon Zahner, EKZ pro-rider and former Swiss champion, to talk about the mighty fall, and now, after over a decade, the subsequent rise of Swiss cyclocross. A new dawn on the start line of an EKZ race. “We have a huge cyclocross history in Switzerland. People who are 30-something know what cyclocross is because in the ’70s and ’80s it was always on TV here. We always had a base of good organisations, but most of the good riders started to do mountain biking because it became an Olympic sport. There became a situation that most of the organisers were still dreaming of the good old times, which simply did not exist anymore. 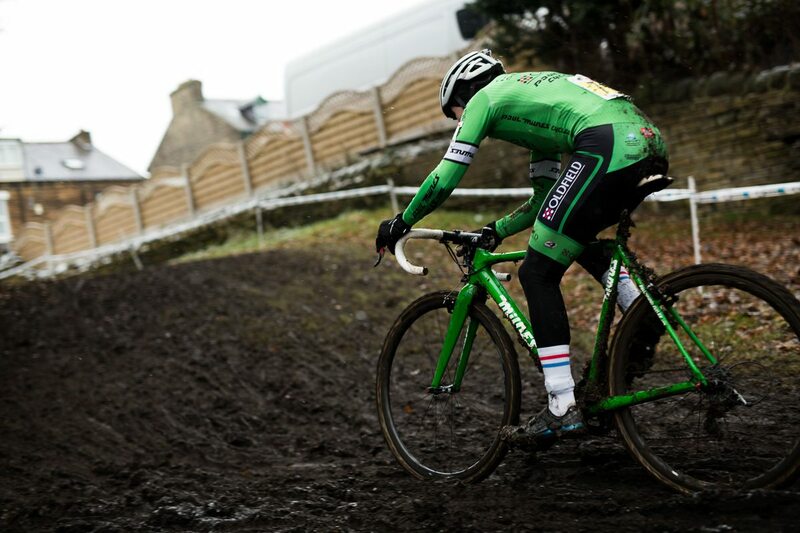 “In my point of view, cyclocross is one of the most spectacular of sports to watch. This is perfect to create an event for the whole family to enjoy, and in order to make the sport successful again, we do not focus only on elite racing. We are pushing the race for everyone (Jedermann-Cross), without a licence, with a ’cross bike or with a mountain bike. With an eye on Belgium, it took the recent recollections of Simon Zahner to drive home just what the main differences are now in the sport in his country. “In the EKZ CrossTour, there’s a good way how they pay appearance fees to the riders so their trip is actually paid for. In Belgium they pay a select few a whole lot of start money, good money to some of their teammates, and then they tell the rest of us they have spent all the money, you can race for 50 euros! “From my point of view it’s safe to say cyclocross has been exploding in Switzerland in the last three years, and I mean in every possible aspect. There’s some great courses – the races are held at spectacular venues such as horse racetracks, ski resorts and picture-postcard Alpine backdrops. Simon Zahner leading German Sascha Weber and Dutch Mathieu van der Poel up a nasty climb. “There are races for elite men and women, kids, hobby riders. Most of these racers buy their bikes, so the cycling industry in Switzerland realises that cyclocross is a marketplace to sell product. “The fact that the EKZ CrossTour has a general classification with its five races means more media coverage over the whole season. It seems that riders without a Belgian postcode are now getting a little more than sick of their treatment and poor working conditions at home, and a quick look at the EKZ start lists sees it awash with French, Italian, Czech, Polish and, surprisingly, a clutch of top Belgian riders. There were actually twice as many elite riders in the Eschenbach EKZ CrossTour race in both men and women’s classes than on the same day at the Superprestige at Spa-Francorchamps. Clearly it seems that there is room for another international series outside the traditional ring-fencing. With this in mind, it seems the current situation in Belgium is also inadvertently helping to expand things. Swiss rider Marcel Wildhaber, winner of the 2017 EKZ Pro Tour, duking it out at the finish with Italian Gioele Bertolini. Rocha added: “The success of the newly revived Swiss scene is also based on the business that happens in Belgium. They really have so many great races and so many spectators, TV and media, but the problem is that these organisers don’t invest in international cyclocross. What happens if there are only Belgian and Dutch riders? It’s going to get boring… people outside of Belgium don’t want to see every weekend a glorified Belgium National Championship. “We offer all these professional riders a really good alternative, and I think in the long term it’s good to have a second location in Europe where cyclocross is really important and where it is really international. We are offering a high-quality organisation, good and different parcours, a nice and friendly atmosphere, and good money to win.” It’s worth noting that frightening descents and crazy off-camber turns are the staple diet of any self-respecting Swiss race organiser. Also, a race winner in EKZ gets 2,000 euro, more than for a Superprestige win. It’s all about promoting and creating awareness from the ground up; here you can see just what type of model the Swiss are using. “We are investing a lot in promotion, with very little money. For sure, social media is really important, but we do on every race some local promotions, in the schools for the kids, some flyers in shops, at different events, some posters in the local town of the race. [Plus] a lot of media work with radio stations, newspapers, TV, online magazines, and many more. It is really hard work and a huge investment of time. 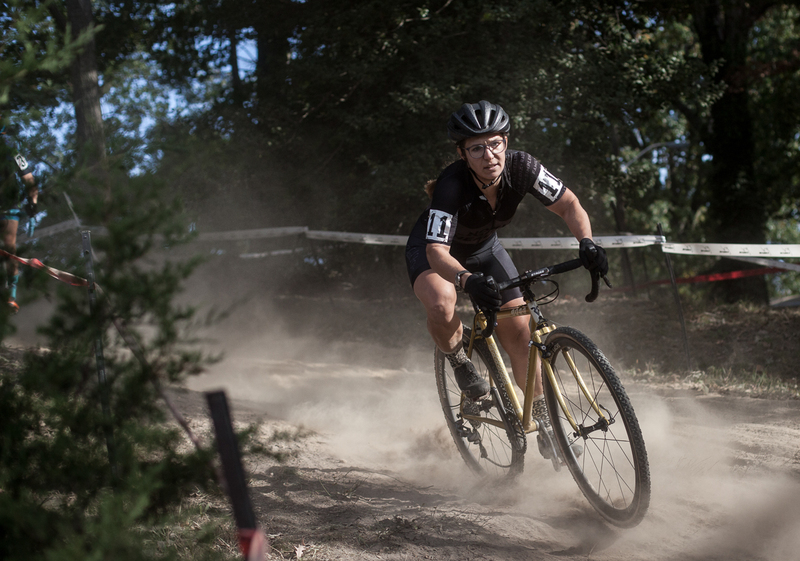 “Some years ago, people always said how good cyclocross was before. Now they all tell us how cool it is right now! 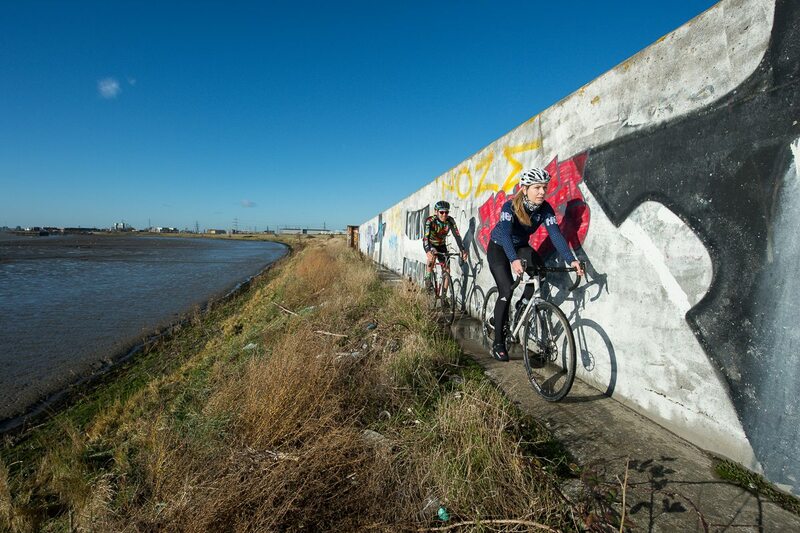 That is the key – cyclocross rocks! Nasty, muddy climbs are an integral part of the Swiss program. With the United Kingdom already having hosted a World Cup, surely this is part of the big picture in the Swiss racing revival? “I think it’s not time to have a World Cup right now in Switzerland. Maybe in two or three years. It should go step by step. “We hope that we can develop our live-stream, which we tried for the first time this year. It was a huge success for our partners FOCUS, EKZ and the local organiser VC Meilen. We want Europe to watch our races free to air, and for it to be of a high standard. “And we finally hope that the Swiss riders will become stronger and stronger every year and again hit the front in races internationally,” said Rocha. Simon Zahner himself had a strong showing at the 2017 World Championships in Bieles, Luxembourg in January, coming in ninth on a brutally rocky course that blew up tires and destroyed derailleurs left and right. Three other Swiss riders, including Julien Taramarcaz, placed in the top 20. Christian Rocha is a man who essentially has taken cyclocross in Switzerland and grabbed it by the scruff of the neck, transforming it from low-key national races with a smattering of local professional riders and little spectator interest, to a series that has now made the rest of the cyclocross community in Europe take notice. Sure, it isn’t Belgium, but it really does not need to be – it’s already carving its place in cyclocross with its own unique brand of promotion and participation. This is just the start of a revival and just shows you what can be possible with a lot of vision and a shovel-load of passion… you have to dream the bigger dreams and Rocha certainly has a big one. Correction: The photo of Swiss rider Dieter Runkel is copyrighted by Archiv VC Echenbach. Good article…. I’ve watched a few of the EKZ over the net and they look brutal courses…. vastly different to most Belgian races. I do think if you are writing an article on Swiss cross then a mention of the legendary Albert Zweifel is a must…. but good stuff all the same.